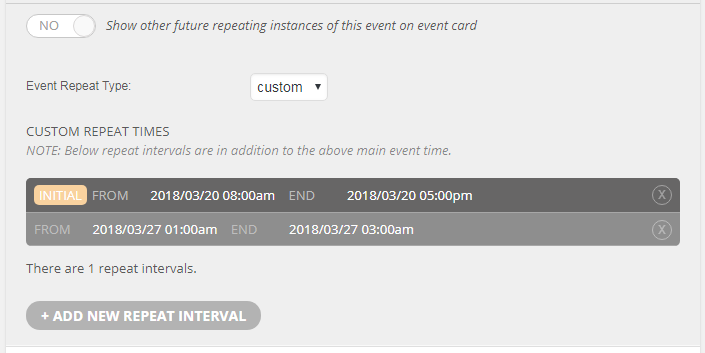 With EventON you can create various repeating event configurations. Ranging from weekly to monthly to custom dates. Creating repeating events or instance of an event in eventON is very easy. Here is how to setup event repeats. Repeating feature for an event allows you to repeat an event with several possible variations. With daily repeats you can set repeating days gap and how many repeats. 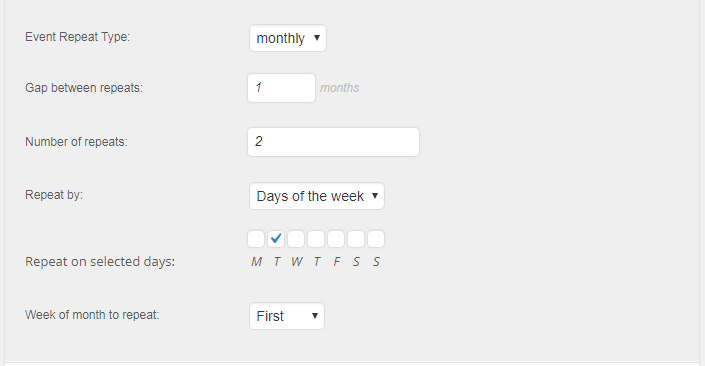 With weekly repeats you can select a repeat mode of Single day — which will repeat only one day of the week based on event date. Or Days of the week — where you can select each day of the week you want the event to repeat weekly. Monthly repeat offers 2 different modes of repeat as well as weekly repeat. Day of the month — repeat based on event day of the month, with the set gap between repeats. Day of the week – allow you to select which day of the week on each month to have the event repeat. Eg. First Friday of the month or Last Sunday of the month type repeating can be done with this. Yearly repeats are basic as daily repeats where you select repeat gap years and how often to repeat. 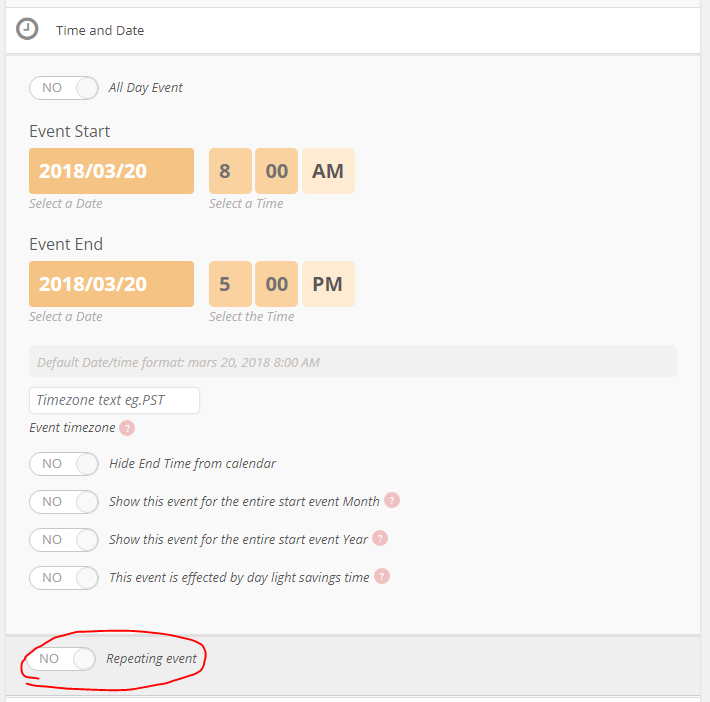 Custom repeat allow you to add custom event dates (start and end) where you want the event to repeat. PRO TIP: You can create regular repeats on daily, weekly or monthly, save changes and switch the repeat type to custom and remove certain days out to not have the event repeat on certain dates on regular repeating schedule.